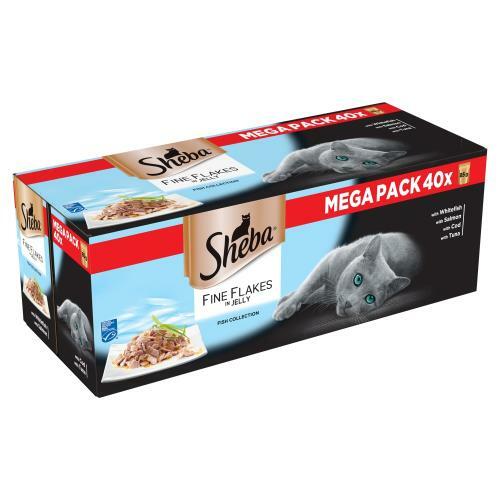 A delicious range of succulent White Fish, Tuna, Salmon and Cod dishes for your cat. These are Sheba's most refined recipes. Each recipe has been carefully prepared from the finest ingredients, to give your cat a meal that is truly special. It's all been gently cooked to seal in the natural flavours, making every mealtime a pleasure to be savoured.